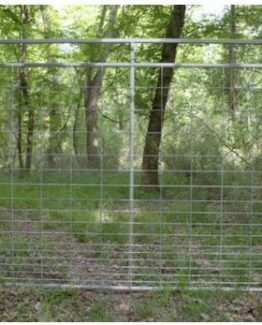 JAGER PRO recommends using twelve each 18-60™ Rigid trap panels with the M.I.N.E.™ Gate to build a standard 35 foot diameter enclosure. 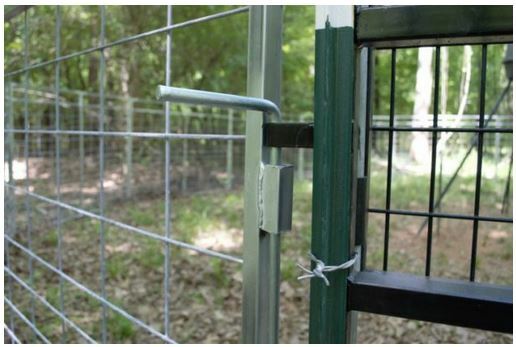 The JAGER PRO 18-60™ Rigid trap panel (patented) was developed during six years of trapping research. 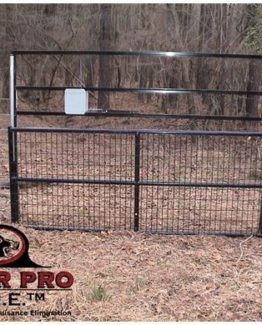 This panel is 8 feet long using 18 horizontal (.220 inch diameter) bars spaced only two inches apart at the bottom to hold the youngest juvenile pigs. 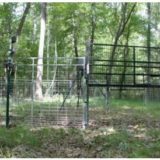 The 60 inch height reduces the likelihood of adults going over the top. 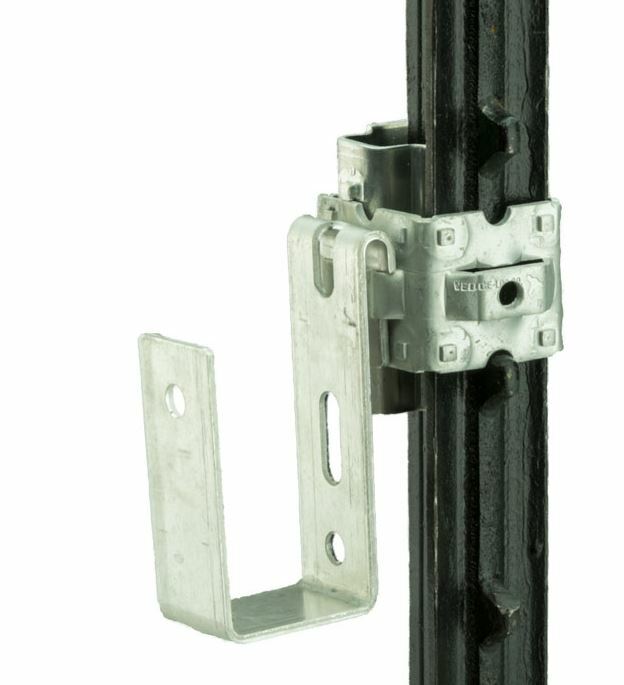 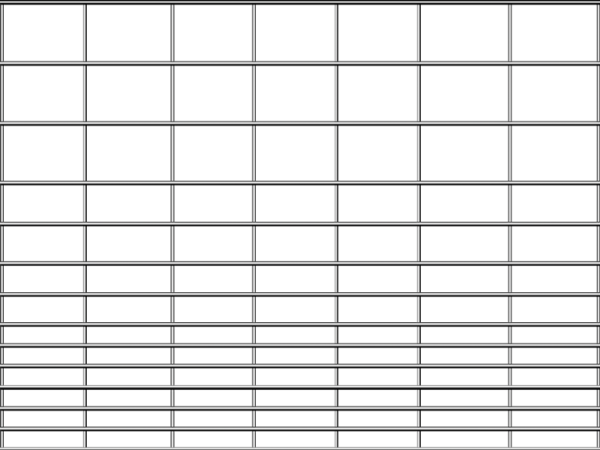 At 58 pounds, the 18-60™ design is only two-thirds the weight of a standard horse panel which allows one operator to carry and install. 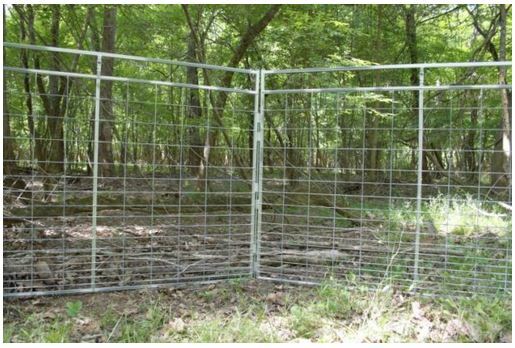 The rigid 8 foot panel is welded to a 1 inch steel frame using a 5 foot connecting stake that eliminates the use of the T-posts which enables the trap enclosure to be erected in less than 30 minutes. 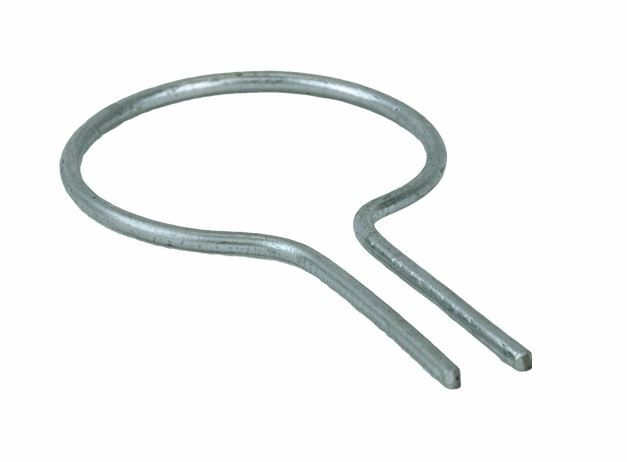 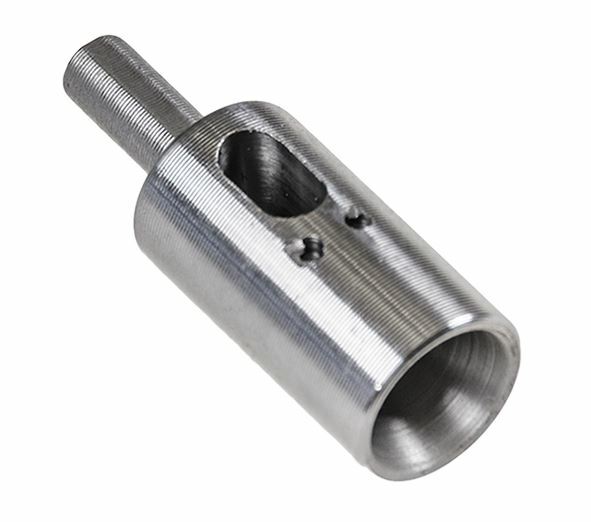 This product is manufactured with galvanized steel before welding to help reduce future rust. 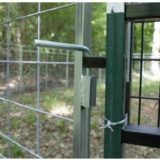 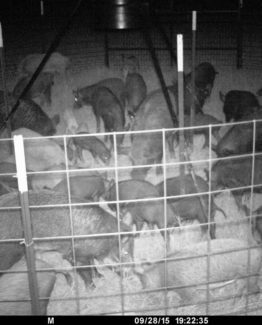 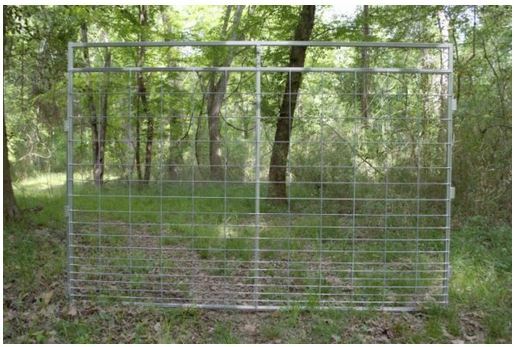 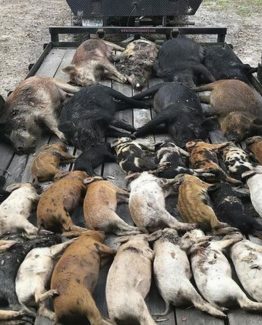 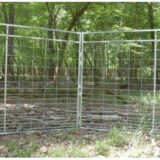 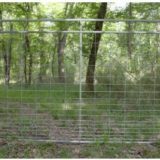 The 18 horizontal bars are made of .220 inch diameter heavy gauge wire to increase the overall strength of the trap enclosure and prevent feral hogs from escaping. 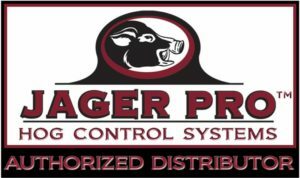 JAGER PRO recommends using twelve each 18-60™ Rigid trap panels with the M.I.N.E.™ Gate to build a standard 35 foot diameter enclosure. 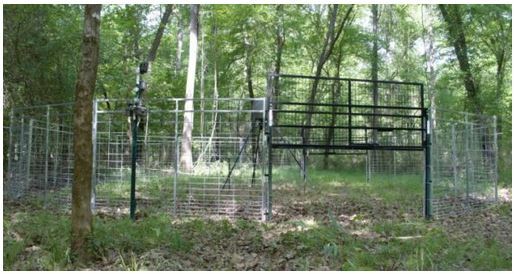 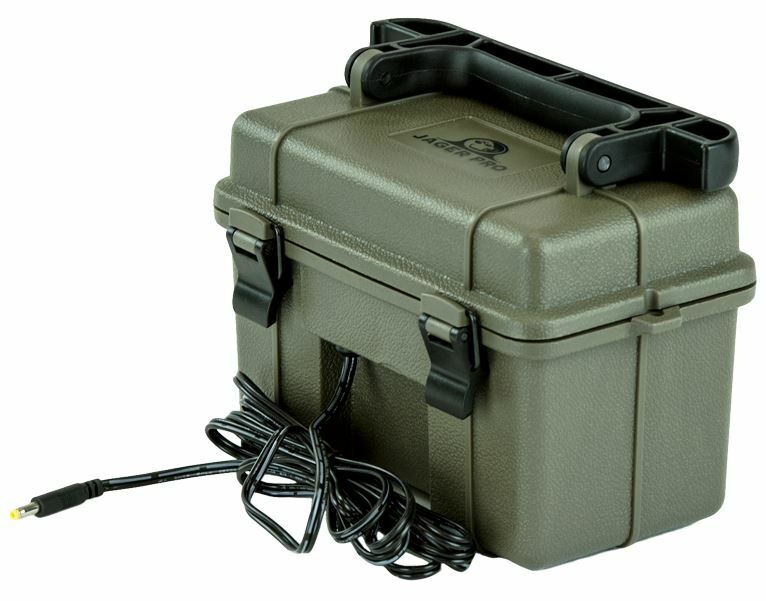 This trapping system is designed to capture the entire sounder group at one time.